I was contemplating whether I should write about IO or not for almost a week now. I went back to take a look at the trailer and parts of the film to refresh my memory and couldn’t help but wonder about the kind of backlash the film got. I decided I should write about it. First of all, it wasn’t that bad guys! Relax. To be clear, this is not a review. This is just an opinion piece coming out in response to the backlash the film didn’t deserve. No, I didn’t get bored or sleep halfway through the film. In fact, I liked it. I admit that it’s not great, but, it’s definitely worth a watch. 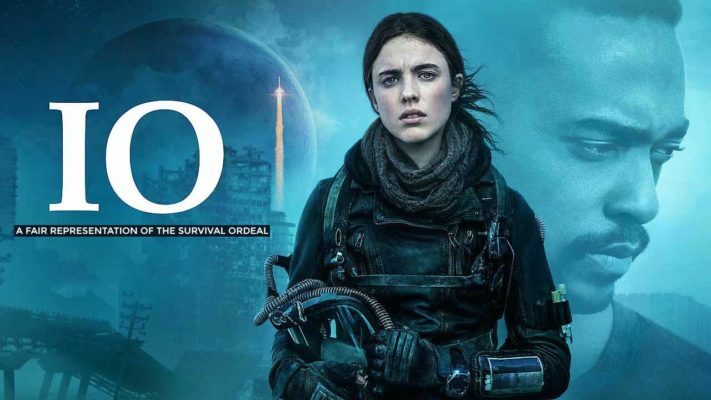 The film stars Margaret Qualley (as Sam Walden), Anthony Mackie(as Micah) and Danny Huston (as Dr Henry Walden). Let’s just address the fact that the film presents a different perspective. It neither says that mother earth floods all the cities with anger nor does it say that we are done here, let’s move to Mars. It mixes up the two ideas and presents a new one- adapting to the toxic environment and surviving. If you want to see something other than massive storms and magical survivals, watch IO. It has a gripping story but a predictable second half. You know from the beginning that Sam’s father is dead. Hence, it doesn’t give the feeling of ‘omg! what a twist’ when his death is revealed. The writer tries hard to make you believe that Sam is going to leave the planet but also, once in a while, drops hints that she might stay back. That doesn’t create any excitement either. Instead, it makes the plot quite predictable. The whole idea of having one last person on the planet (two in the second half) trying to figure out ways to survive is quite interesting. Every time Sam runs out of her oxygen supply, it gets nerve-wracking. Toxic environment and fleeing humanity is quite a scary thought. But we might actually end up in a situation like that if we continue to be this laid back about our environment. Hence, I see this film as a wakeup call. It’s also interesting how the writer and the director pulled it off with just two characters, played well by both the leads, and some brief appearances of another character. The film does have a few ‘edge of the seat’ moments. The locations and sets used are quite believable. On the whole, it’s an exciting attempt which is worth a watch (and is not boring at all). In conclusion, I want to end this article with my favourite quote from the film- ‘Adapt or die’. MS Dhoni Rides High On Sushant Singh's Gritty, Charismatic Performance - Go For It..!